We hear from many shops these days that are using Square, Clover, Lightspeed and Quickbooks to some or all parts of the flower business. We can tell you with certainty why these are not appropriate for any florist. These systems are all “generic” POS systems that are not designed for flower shops or flower customers. They are designed for people selling generic “widgets” mostly on a cash and carry basis. Inevitably what happens is people start using them (as they are cheap and quick to set up) but realize after a few months that they are woefully inadequate for servicing the typical flower shop customers. The true cost of these systems in lost productivity and lost customers due to the huge capability gaps ends up costing far more than the savings over a traditional floral point of sale system. We can say for certainty there is not one florist (out of the top 1,000 in the nation) that uses any of these systems for all the reasons outlined above. Ever wonder how the biggest companies keep getting even bigger each year? It’s not your imagination as this trend has been accelerating over the last few years. People have lots of explanations for these trends, but it seems unmistakable that the larger players spend more on technology and R&D than the smaller players. It’s no secret why companies like Amazon keep acquiring more and more market share. They have thousands of people working on IT on any day of the week, spanning hundreds of business segments. Compare this to many flower companies that do not have one technical person on staff. How can they possibly compete and keep up with the newest technologies and trends? It’s just not possible to keep up. Is your company thinking of investing in AI (Artificial Intelligence), drones or robotics to better serve your customers? That’s a tall order for small IT teams with limited budgets. These new technologies help give the more significant players a substantial competitive advantage in the marketplace with shoppers. The larger companies are building a foundation to serve customers better. They are investing in the future. Consumers have become accustomed to the latest apps when they shop, with real-time inventory control, accurate product data and rapid local delivery. Maintaining hardware and software systems to address all these areas requires a commitment on the part of the company to invest as much in IT as they do in marketing. That’s just not the mind-set at many companies we see in the flower business. The traditional thinking among many players is “we” spend/invest in marketing, but it’s okay if our staff uses five-year-old computers. New tablets? Don’t even ask! We’re all consumers in one way or another. Ask yourself why you shop at some of the big brand stores or websites? A lot of it has to do with how customer friendly and how advanced their technology is, along with how polished it looks and how easy it is to use. When was the last time your shopping cart crashed on Amazon.com? Rarely or never is the answer. This past Father’s Day, I decided to send something different to my dad from Amazon after they had acquired Whole Foods Market. After logging on to Amazon Fresh, I ordered a nice bottle of red wine, two steaks, fresh bread and dessert to send him the makings of a nice dinner. All of this was delivered within two hours (for free) in California for $65. That’s a fantastic example of what is possible and what we are up against in the flower gift-giving business. These types of gift-giving options will only be expanding in the future as the most prominent players combine the latest technologies with some of the best brand names. We should also be encouraging our staff members to embrace the latest technologies at home and the office so that we can all stay ahead of the curve when it comes to new and emerging trends. Understanding what new hardware is capable of is the first step in developing better software and systems to address the future needs of consumers. So the next time your staff asks for a new tablet, smartphone or laptop, keep that in mind because it will help your company even more in the long run. Alex Frost has founded and operated multiple technology and marketing companies in the floral industry for more than 25 years. He has also developed unique supply chain software for the flower industry. Email him at alex@quickflora.com. The Blockchain is coming... are you ready? You may have heard the term “blockchain” this year mentioned in many different ways. The blockchain is a new technology that many people say will transform how many of us do business together. Think back to before the internet came along, how people were speculating on the future of e-commerce. The physical location of every grower and how many acres or hectares they planted will be easily searchable online. Need a rose grower in Ecuador that has 6,000 yellow roses ready for harvest next week? This product information will soon be online and easily searchable in a few years using blockchain technology. Growers will be able to share what they planted, when it was harvested, when it was boxed, and how it shipped, with great detail for all buyers to see anywhere in the world. Just like you can’t hide a farm from a satellite image, you won’t be able to hide what is growing in the field anymore. This will be public information down the road just like Google street-level view is now. Not sure what day the grower cut and boxed those flowers coming your way? This data will be transparent to buyers in the future once it is published on the blockchain. Those growers that don’t choose to share this data will have less market share from major buyers. Need a unique glass vase from China? Right now, that search process is a nightmare on Alibaba, one of the world’s most popular marketplaces for factory goods. In the future, all known glass factories will be online in an easily searchable public database, maybe even the molds they have on hand also. This will make the product sourcing much easier for all glass buyers. You may be able to pay the grower or factory with a digital token once the major financial institutions start to accept this as a standard form of currency. Bitcoin tokens exist today and are known the world over, but few people are using it in commerce for many reasons. Those reasons are going to go away over time as the technology keeps getting better and people have more confidence in these new forms of currency. Remember, people initially refused to send documents over “email” when it first came out? It took a LONG time, but people finally gave up their fax machines. Sending secure documents over the internet is now the global standard for the most part. The transaction costs for sending payments over the SWIFT network are going to go down dramatically for all involved when there are viable alternatives to how we pay suppliers globally. Right now, major banks control the flow of money across borders, that will also change as companies start to pay each other directly with digital tokens. Not sure how much the farmer got paid on your last order? If they get paid with digital tokens, all the information will be trackable online using digital wallets. This may help ensure they were fairly compensated. Keep in mind many farm workers in Africa are currently being paid in digital tokens by many companies because the local currency is too unreliable, unstable or has excessive transaction costs. When a consumer buys a dozen roses in the future, there may be a QR code on the packaging that shows the exact farm they came from, what day the roses were cut and how it got to the final destination. No more guessing if you just bought three-day roses or ten-day roses. All this information will make buyers far more informed. Buyers, producers and sellers will be sharing more and more information or risk being left behind. Need a dozen lavender roses tonight? Real-time inventory data that is blockchain based may show you the name of every retailer that has those lavender roses and the physical locations where you can buy them. Just try that using Yelp today? We can’t be sure how people will leverage blockchain data in so many different forms, but the changes will be profound regarding how growers sell and market their flowers and how buyers search, buy and ship those flowers worldwide. The average grower in South America wastes anywhere from 5-40 percent of the weekly crop because he or she is unable to locate willing buyers worldwide. That grower will directly benefit by publishing their product data on the blockchain, and also cut out the middleman by going straight to buyers, allowing them to capture more revenue per stem. While those are just a few examples, we still don’t know how this new blockchain technology will fully evolve and we may not know for another decade or so. Can Uber Replace a Company Delivery Vehicle? For more than 100 years, retail ﬂower shops have operated their own delivery vehicle. The capital cost of running such a vehicle (lease, fuel, maintenance) and a full-time driver easily exceed $3,000-$4,000 a month in many markets. With the recent acceleration in crowdsourced companies (Uber, Lyft and many others), many ﬂower shops have started to use these services to augment existing delivery options – in many cases, for last-minute orders and, in a few instances, for all orders. We were curious as to what the cost difference is between an in-house driver and a fully crowdsourced delivery system. We analyzed the delivery data from three ﬂower shops in three states. We ran each stop (from the prior month) through the Uber API to calculate the approximate total cost, and the results were pretty profound. In each of the three cases, we estimated savings of 20 percent to 30 percent over an in-house driver. Not only was the cost less but the speed of delivery was two to four times faster than a local truck and driver. Keep in mind that an Uber driver can oﬀer “immediate” delivery, with no stops from your ﬂower shop to the recipient address. The average delivery time was 32 minutes after the order was picked up at the store. The average delivery time for a ﬂorist is two to ﬁve hours. So if you could deliver faster for less money, why would you not do it? You give up some branding control by not having your truck roll up to the recipient’s house, but, really, how much value is there in that? It’s hard to say. For years, people have been saying there is no new business to be had from delivering incoming wire orders. Why would it be any diﬀerent in this case? So the branding value, if you can even quantify it, is debatable, at best. No doubt, you can’t use Uber for a funeral or wedding delivery, so a crowdsourced delivery system is never going to replace a local truck 100 percent. 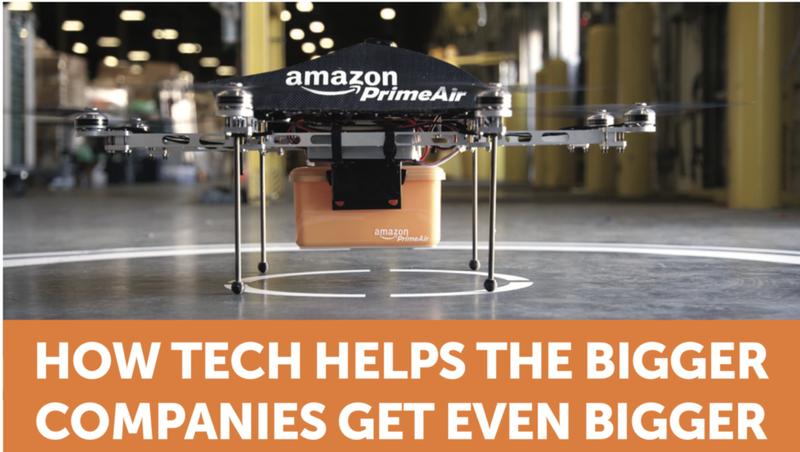 But how about if it could handle 50 percent of your deliveries? That would still be considerable savings every year and faster service for your customers. With Amazon and other retailers (and now many supermarkets) racing to deliver as fast as possible (same day) for as little as possible, there is no doubt this will impact all ﬂower shops in ways we could never have imagined. PRESS RELEASE – New, Free eVenta Event and Wedding Manager launched for Floral Industry. With the unique needs of floral event planners worldwide, QuickFlora has responded with a free software application for all flower shops. Miami, FL: QuickFlora, Inc, has released a new enterprise level software application “eVenta” to allow floral companies to manage events and weddings. This new module is built on the existing, enterprise level flower shop management system “QuickFlora” which has been used by some of the largest florists in North America for over a decade. Unlike many basic proposal programs, eVenta was developed with advanced production, purchasing, and delivery modules that larger, multi-location flower shops have come to expect in their daily operations. “We wanted to create something that can easily handle a $2,000 wedding or a $100,000 wedding,” said QuickFlora CEO Alex Frost. “At the same time, we are providing a free, basic version that flower shops can use forever, and upgrade as they grow.” These integrated operation modules allow a florist to generate a sales proposal quickly, cost out all the recipes for each item, and obtain digital contract signatures online. Located in the Miami area, QuickFlora, Inc. has been providing point-of-sale and shop management software to many of the top flower shops in North America for over a decade. Our technology team creates custom modules for all segments of the floral industry. For more information, please visit www.quickflora.com. Is it time to dump your wire service website? 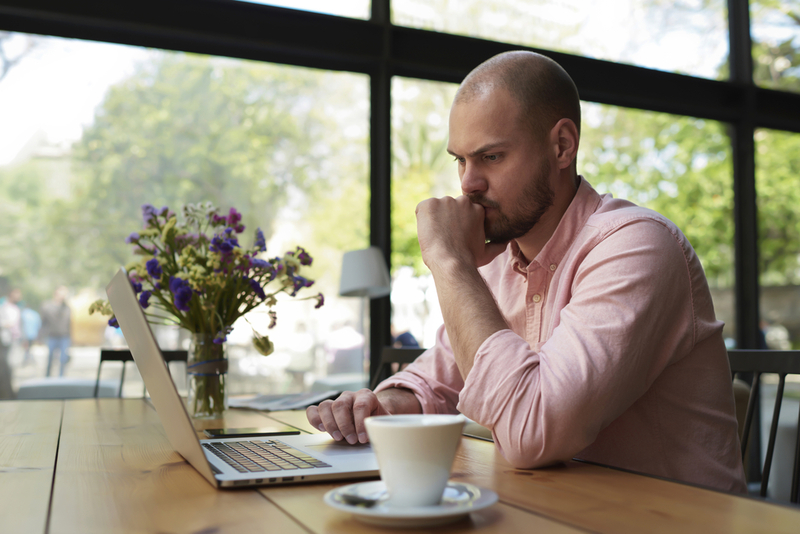 Is it time to refresh your website or dump your wire service website? 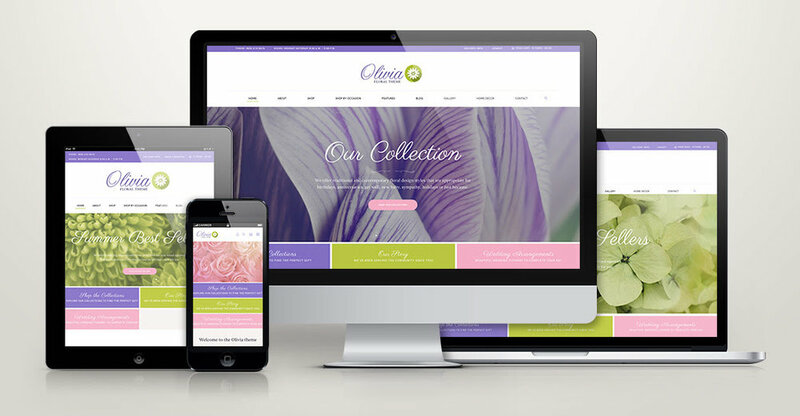 QuickFlora is pleased to release advanced Wordpress templates for flower shops looking to move away from wire-service, cookie cutter websites. These new, ad agency-quality websites are built on top of the WordPress open source platform which is the most flexible and powerful website platform on the market. Click here to see a live preview of the Willow website template. Click here to see a live preview of the Olivia website template. We offer special discounts for shops migrating from any major wire service. Call us for details at (800) 210-8670. Click here for more information. Need a new POS? Get your new website for free with any new POS sign up by July 15th. Ask us how. MIAMI, FLA. (June 1, 2018) – Alex Frost, President and Founder of QuickFlora, announced today the company has released many new websites templates based on the popular WordPress e-commerce platform for flower shops. The QuickFlora florist software system, used by some of the largest and most upscale flower shops in the United States and Canada for over ten years, will now begin supporting WordPress and Woo shopping cart open source platform. 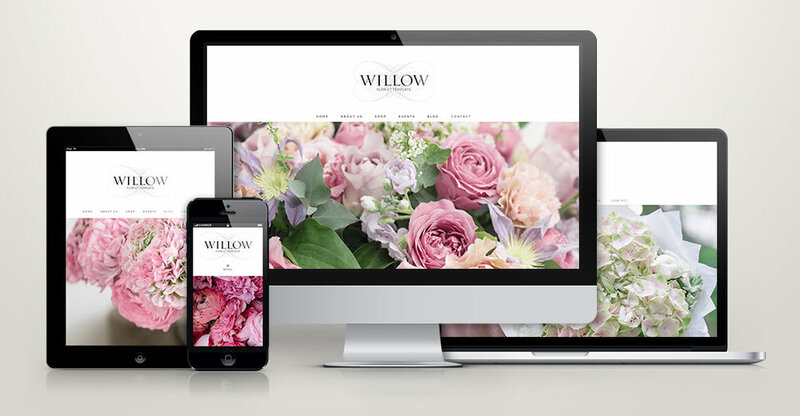 Brown’s the Florist, one of the largest and most prominent names in retail flowers (based in Victoria, British Columbia), switched its three retail stores to WordPress in 2018. They now have a fully responsive mobile friendly platform to build upon enabling them to expand on e-commerce flower sales and events. “This system which Alex and his team specially built for Canada, allows us to provide our floral customers with the best possible online buying experience,” says Natasha Crawford, owner of Brown’s the Florist. “The QuickFlora team has been super in helping us help them build out leading-edge features that we needed,” says Crawford. 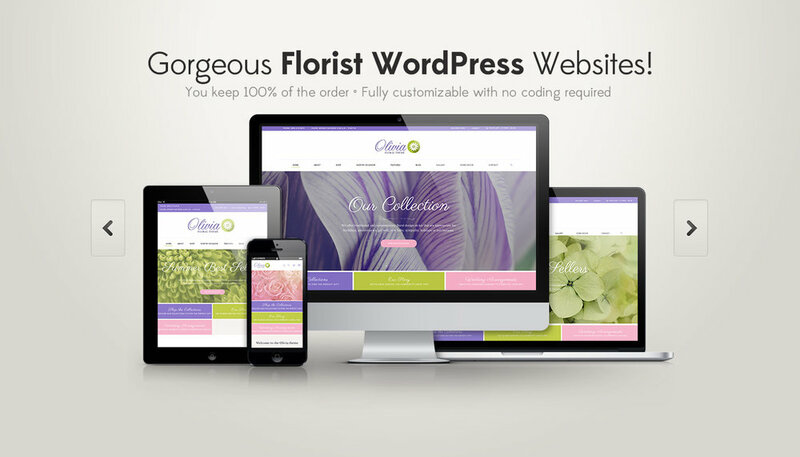 This new WordPress website platform for flower shops is compatible with most POS systems, including QuickFlora POS. The QuickFlora Shop Management system is a cloud-based system that incorporates POS, Order Entry, E-commerce, Mobile App, Delivery Manager, Marketing Manager, Accounting and many other modules all into one system managed from any PC or MAC from any location. The system is fully hosted on Amazon Web Services (AWS) as of early 2018. The website software is specially tailored for high volume flower shops (and flower franchises) with multiple locations featuring QuickBooks hands off integration, Google Maps API for address verification and zone mapping, iPad signature capture and a host of other features never before available to floral retailers in North America. 401 E Las Olas Blvd. You can request a free point of sale demo at www.quickflora.com. Spending time around Amsterdam last week for the IFTF and Flora Holland shows, one can’t help but notice how modern technologies have trickled into every aspect of the Dutch consumer life “outside” of the flower business. The Dutch clearly lead the world in growing the best flowers possible and excel at the logistics of moving those flowers where needed. The irony is, the retail end of the market suffers from the same negative factors present in North America. There is contraction at the retail brick and mortar level, stagnant growth and the continued expansion of the mass market channel. All these factors are bad for growers - both in the short-term and the long-term. The traditional economics of the present flower stand model (high labor, limited hours, inconsistent product quality, no delivery) just does not fit the needs of the modern consumer. The Dutch have readily adopted other modern services such as online shopping, app-based transportation, mobile driven food delivery and a host of other modern ways to request products and services. While Uber will take you anywhere around town and Uber Eats will bring you food whenever you want it, the present day “Bloemen Stand” seems stuck in a time warp that it can’t escape. 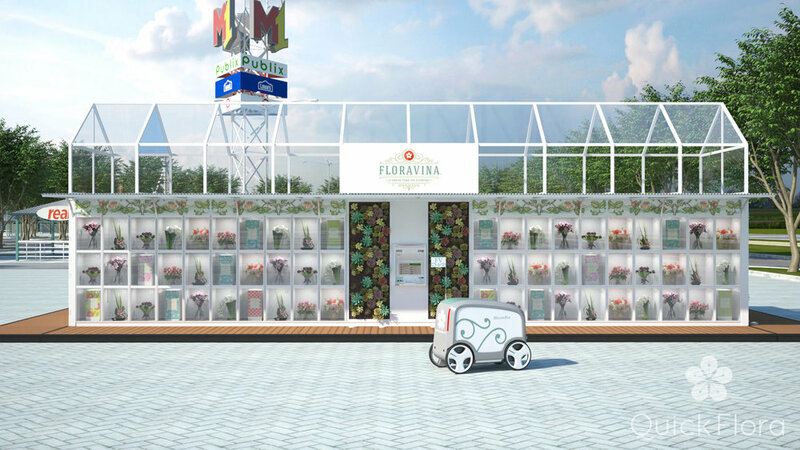 One of our goals at QuickFlora is to find ways to totally automate the sales and delivery process for flower stands and allow them to compete in a modern world where technology and smartphones are at the core of almost everything consumers do. This allows them to sell more product at lower price points (and/or higher margins) than they ever have in the past. This makes them economically viable as a business model once again. The two goals of the Flora Holland 2020 plan are clearly stated 1.) to increase consumer consumption of flowers and 2.) to increase margins for growers. That is not going to happen anytime soon unless there is a profound shift in the value consumers receive for their money. As we say in America, the definition of “insanity” is doing the same thing over and over and expecting a “different” result. 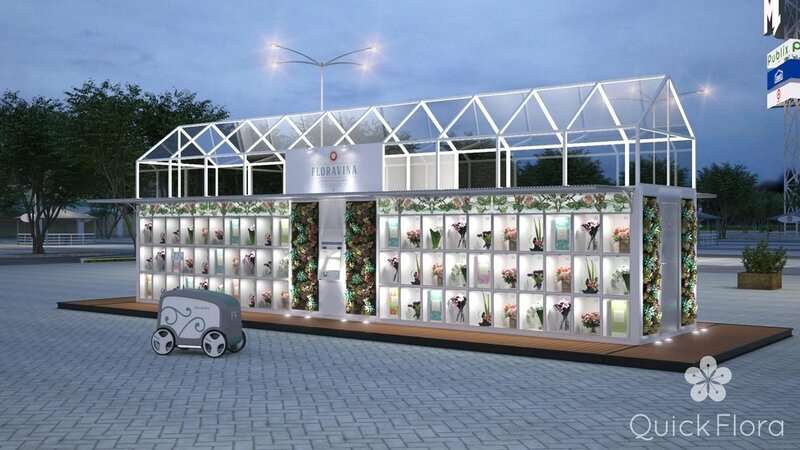 While there are clearly large-scale technology initiatives being made by many Dutch companies large and small, almost none of them are focused on giving the consumer more value, faster delivery or a higher quality product in the flower business. They are all focused on the B2B flower market, but very few on the B2C flower market. Online initiatives to sell and ship more flowers are the exception. Many people have asked us, how can you have a flower stand without people? The reality is there are already a host of consumer services that have moved to total automation in a world dominated by mobile apps and online shopping. Drones, robotics and Ai (artificial intelligence) will continue to permeate every aspect of the B2C market in the years to come. Those companies that embrace these trends will prosper – and those that ignore them, do so at their own peril. When a consumer is given a chance to purchase a higher quality product at a lower price point (24/7) they will usually gravitate toward those companies. The Dutch consumer is not that different from the American consumer in that regard, in fact, from what I have observed, they are even more focused on value than the typical American consumer. We are actively looking for Dutch partners to help us expand into the European market with our new BloomHouse in order to create a new sales channels for flower companies. If your company has an interest, by all means, let’s talk. As consumers gravitate toward real-time, on-demand consumers products - a BloomHouse flower locker allows a company to service this market with minimal variable costs. It can even be used to expand an existing local brand or franchise without investing in new brick and mortar locations. As a leader in web-based ERP systems for floral companies, QuickFlora software allows a company to manage perishable inventory on a individual product basis. This ensures maximum freshness for consumers and minimal spoilage. Our unique QuickFlora technology has been stress tested over the last decade with some of the largest flower retailers in North America ensuring profitable BloomHouse management. Thirty years ago, supermarkets did not sell flowers. Today consumers purchase over six billion dollars a year in fresh flowers from over 23,000 mass market locations. The mass market providers proved that if you made the product easy to buy and priced it right, consumers would buy more flowers. 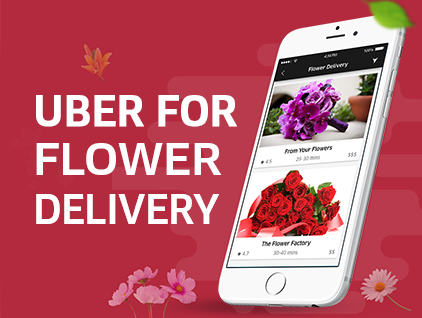 We believe there exists an even larger untapped flower market once consumers have fresh, quality flowers available to them at Uber speed - 24/7/365. About QuickFlora, Inc.: QuickFlora developes innovative technology and marketing solutions for flower companies in North America. Founded in 2010, QuickFlora has designed, developed and maintained web based ERP/POS systems for some of the largest flower companies in the country. Will robots be arranging your flowers soon? It’s no secret that many people in the hospitality and retail industry are starting to roll out new concepts that involve using robotic technologies. Some of the benefits boasted by such businesses include the elimination of training new employees, robots are more efficient and make fewer errors, robots can be trained to complete all duties and responsibilities rather than just a few, and they do not become ill with proper maintenance. Robots are not without fault, however the cost savings and productivity improvements are making hundreds of thousands of people’s jobs expendable. 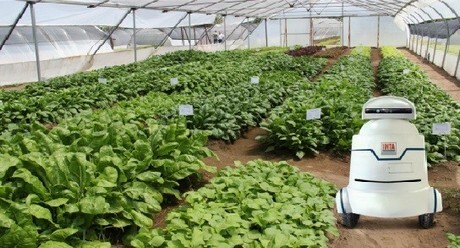 With labor accounting for such a large part of the flower growing process and up to 30 percent of a flower shop’s operating expenses, it seems a natural fit for the flower industry and robotics. These robots work 24/7, never require a coffee break, and insurance costs drop significantly by eliminating the need for employee liability protection. How long until we see a full automated greenhouse? Maybe not as long as people might think. Several companies are already trying to automate greenhouse and nursery operations. Harvest Automation is already building robots for growers with a $10 million round of funding. Check out the neat video on their home page. The future is here. Embrace it. Welcome it. Or, it will pass you by. Many people called and emailed questioning if “a flower shop with no employees” was even possible after the article I published last week. It is great to see such a concept engage the industry so passionately! The reality is, the concept already exists in various forms all around us. I suppose it just depends on what you consider a “flower vendor” these days. To me, it is anyone that provides flowers to consumers whether it be a full-service flower shop, a supermarket, an airport kiosk, or a website or mobile app selling flowers. These are all variations of flower sellers in one form or another. A website selling flowers is really just a storefront with no salespeople, at least on the front end. We all know that so many unseen people work on the back end in terms of fulfillment. A flower shop using courier services is a flower shop with no drivers, or trucks for that matter. Do people really care if your own truck pulls up with the delivery of a courier, a taxi, or an Uber driver? People care much more how FAST you deliver AND if you delivered what you promised rather than they do about seeing your name on the truck. A supermarket floral department is another example of a flower shop with no employees. Ever try and ask someone about the flowers at a supermarket? Chances are there was no one around to help you, and that was by design. How about the flower cooler box at Costco? This is another example of an unmanned flower shop averaging over $1 million in annual revenue with over 400 locations. An airport flower kiosk is also an unmanned flower shop in a basic sense. In many airports worldwide, they stock flowers and people buy the flowers self-serve style while the vendor restocks the cooler. Remember how we all used to pump gas? No one would let you “touch” the gas pumps in the old days. Now, no one will help you pump the gas! What happened? Gas stations realized people would rather save 20 cents a gallon than have a full-service gas station. How is this any different with a self-service flower kiosk or supermarket? The reality is that the market evolves to fill the needs of consumers in many forms. Consumers respond to whichever business options are presented to them, good or bad. We tend to make things too complicated for consumers in the flower business. The free market will determine if Amazon can succeed with a supermarket without employees. I believe this model already exists to some degree. Other than a cashier, who else do you see working in many major supermarket these days? It already feels like there is no one working there some days. :-) Why not just make it official and put in some helpful robots in the aisles? To those who view the contraction of the traditional florist retail model as a negative, perhaps consider all the alternative and evolving flower purchasing options already in existence within the market today, and keep an open mind about the future. Someone once told me ten years ago there was big business selling flowers “in a box” without a flower shop. Then came ProFlowers. That market segment is now worth nearly $2 billion dollars and continues to grow annually. If someone had told me years ago that they could order wedding flowers from Sam's Club and Costco, I would have found that ridiculous. The reality of the flower industry is that there are dozens of websites selling DIY wedding kits and pre-assembled wedding kits these days. Thousands of brides are ordering their flowers without any hand holding. If someone had told me Americans would pay $4 for a cup of coffee 25 years ago, when I was paying 99 cents at 7-11, I would have said that is absurd. Today, we have Starbucks and we all pay $4 for a cup of coffee. This does not include the billions of dollars consumers spend on gourmet coffee in the mass market segment. Remember Folgers and Sanka? Starbucks gave us a BETTER product, made it EASY to order with convenient locations and an exceptional buying EXPERIENCE that many of us find much preferable to 7-11, McDonald’s, and donut stores. Do you think there are more coffee shops or less coffee shops than before Starbucks came along? Take a guess. Coffee consumption in the US has catapulted to levels no one thought imaginable 25 years ago. Starbucks, Cold Stone, and Krispy Kreme all proved specialty retail can be successfully reinvented when you focus on the consumer “experience,” when you execute proper branding, and when you are trying new and innovative things in your business. Rather than focusing on the negatives pertaining to the existing state of the flower business, why not reinvent the flower business? It is so much more fun and exciting. Call me an optimist, but I think the floral industry is on the verge of exploding into a market many times its present size, and it just will not simply be in ways you might expect. As a 21st century florist, you’ve likely faced some thorny challenges. In order to succeed in the floral industry today, your business needs superior product, excellent customer service, cutting edge technology and exceptional brand recognition. Alex Frost owned, operated and managed retail floral operations in the US and Canada with up to 10 million dollars in sales. He is the founder of several floral technology companies and ventures, including QuickFlora, and on September 28 he will be sharing his firsthand knowledge on how to create a strong floral brand that will make your business thrive.